Get off the beaten track and discover a range of incredible campsites that only a camper trailer can access. For 4WD enthusiasts, this remote beach on the northern side of Cape Flattery ticks all the boxes of a grand adventure: great fishing, a shady camp and very, very few people to share it with. Seagrass beds flourish in the shallow bay nurturing green turtles and dugongs, there’s rich coral reef just offshore, and the fishing is out of this world. Head to the oyster-covered rocks at the eastern end of the beach to fish for mangrove jacks and barramundi (watch your lures!) or launch a boat off the firm sand and troll for lengthy Spanish mackerel (our catch measured 1.2 metres). Estuarine crocodiles are commonly spotted at Cape Flattery, so swimming is off limits, but you can fill a lazy afternoon climbing a trail to the east that leads to vantage points high above the beach. There are no restrictions on stays at this remote spot located on traditional Guugu Yimithirr land but you should obtain permission to camp before setting out. Remember to check local tide times, ensure your 4WD vehicle is well equipped and carry ample supplies, including recovery gear. You'll need to bring your own drinking water, although freshwater springs that flow from the dunes can help stretch your supplies. Location: Head 120km north of Cooktown via Battle Camp Road, Starcke Homestead and after a 20km-long beach drive, push through Cape Flattery Silica Mine to reach Connies Beach on the Cape’s northern side. Camping: Free, phone the Hope Vale Community Ranger on (07) 4060 9130. Visit: The dry winter months. Explorer Matthew Flinders dismissed this low-lying montage of mallee-heath plains, vast tannin-hued freshwater inlets and rounded quartzite peaks as barren when he sailed past in 1802. Almost 40 years later Edward John Eyre agreed: “Most properly had it been called Mount Barren, for a more wretched arid-looking country never existed,” Eyre said. But both explorers were very much mistaken. 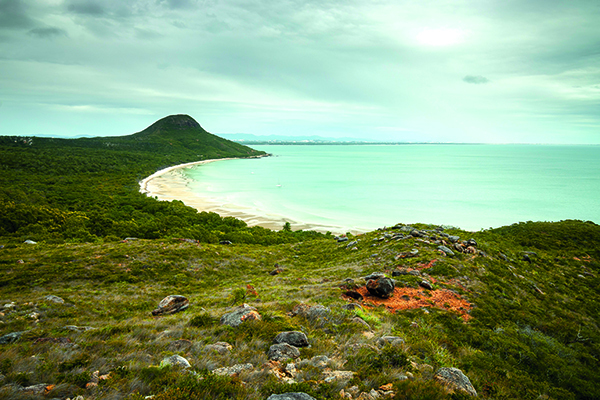 Now protected by one of Australia’s largest and most botanically significant national parks, this remote stretch of coastline is inhabited by more animal species that anywhere else in WA’s south. 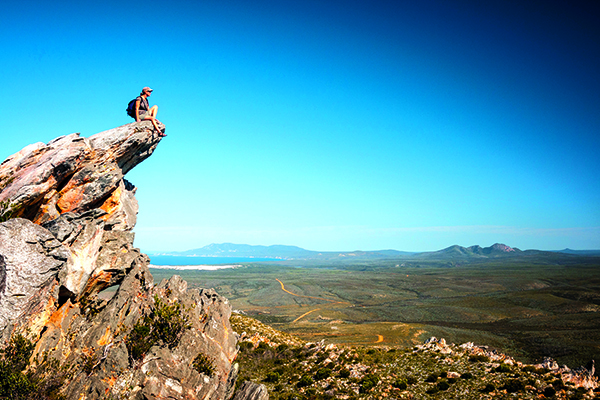 This clincher is that rugged, narrow roads through the thrilling western side of Fitzgerald River National Park are only accessible to offroad vehicles and camper trailers. Here, oversized, private campsites on heavenly St Mary Inlet provide 4WD access to endless miles of squeaky white sand on a bright, turquoise blue bay. A top short walk at nearby Point Ann winds alongside part of you the original Rabbit Proof Fence No. 2, which once stretched 1164km to Geraldton, while a longer trail summits West Mount Barren for a bird’s-eye look at the landscape. Outside of whale carving season you can launch a tinny via the ramp at Point Ann (November to May) where a picnic shelter provides gas barbecues and great sea views. Location: Turn off the South Coast Highway 150km east of Albany onto Devils Creek Road. Camping: Park entry costs $12 per vehicle plus nightly fees of $7.50/adult, $5.50/concession and $2.20/child. Visit: Catch wildflowers blooming in spring. South of Jindabyne where the Snowy River leaves the High Country, the steep, twisting Barry Way cuts an historical path to the Victorian seaside through rugged white box woodlands. 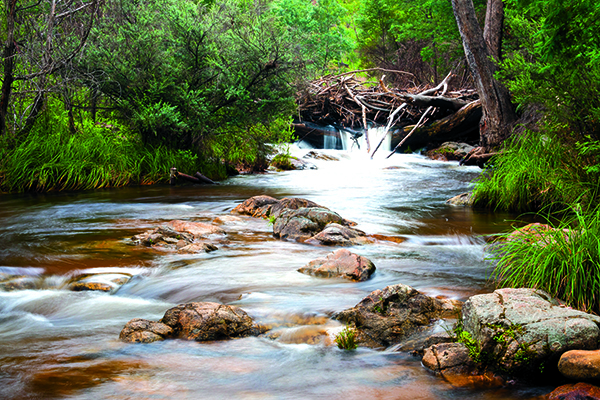 Following a route pioneered by stockmen who rounded up wild brumbies and pushed cattle to market, this scenic, albeit narrow and steep route drops into the deep, wilderness valley between The Pilot (1829m) and Byadbo Mountain (1236m) to reach a string of free campgrounds with unbeatable Snowy River access for trout fishing, paddling and swimming. The pick of camps is at Pinch (Moyangul) River where big, grassy sites flank a chilly stream that anglers say is a trout stronghold. Like me, you might be tempted into the invigorating pools beneath the creek’s frothy cascades before warming up on long, sunny walks to watch emus, kangaroos and swamp wallabies graze. There are no time limits imposed at Pinch River but you’ll need to bring your own firewood and drinking water, or simply boil the river water. Location: The Barry Way stretches 72km from Jindabyne south to the Victorian border.